Edward Kennedy “Duke” Ellington was born April 29, 1899 in Washington, D.C. “Duke” was a natural sobriquet for Ellington, whose dignified, easy grace reflected his upbringing in a musical and genteel home. Ellington was also a talented enough visual artist to qualify for a scholarship to Brooklyn’s Pratt Institute—which he declined. Music won out. Duke abandoned all further academic endeavors to pursue a career as a pianist and bandleader, working with long-time Ellington sidemen Otto Hardwick, Arthur Whetsol, and Sonny Greer from about 1919. 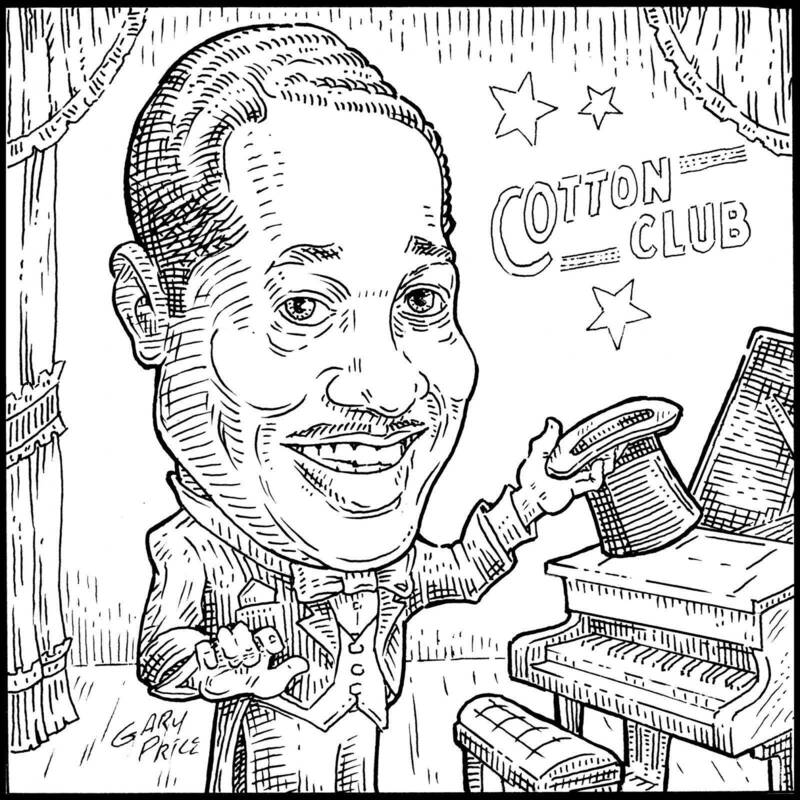 By early 1924 Ellington had established himself at New York’s Kentucky Club. Taking on Irving Mills as manager in 1926 improved the band’s prospects and secured Ellington’s fame. Duke’s fortunes varied through the Depression and afterward, but he relentlessly moved his music into the future with the vital assistance of young geniuses like James Blanton and Billy Strayhorn. The Ellington group never disbanded. In 1956, thirty years after his Kentucky Club days, he scored a huge hit at the Newport Jazz Festival. Duke Ellington worked steadily, creating music for every performance medium, until just before his death on May 24, 1974. He alone among jazz musicians has been honored with his image on a coin—a quarter issued in 2009 to honor the District of Columbia. No choice could have been happier.